Are you one of the people in America who is wondering what has gone wrong with our nation? Politicians on both sides do not seem to respond to what we voters say we need. What has transpired in America that makes it so difficult for even veterans to be treated justly by their government? How did America transition from being “One Nation Under God,” the land of the free and home of the brave and to a house divided between those who believe our only options are competing with each other for freebies and handouts? Attached is a flyer for Earl Wallace’s upcoming presentation in Albany/Colonie, NY on Wed, Sept 27, at VFW POST 8692, 140 VFW Rd. (off Rte. 155) Colonie, NY 12205, on how the 10 Commandments secure our natural rights, which are what the US Bill of Rights is designed to protect by restraining government to treat “we the people” according the inalienable rights we all are endowed with by our Creator – as stated in The Declaration of Independence! 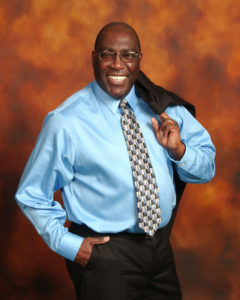 Earl is a former State Veterans Counselor and Administrator of The New York State Department of Labor’s Veterans Programs, who now pastors Liberty Christian Fellowship Church in Halfmoon, NY, and also teaches “Three-Dimensional Leadership” in America, Europe, Asia and The Middle East. Attendees will receive a handout they complete that they can use as talking points to help others see how America was founded on the “application of Biblical values to government administration and civic life, and not “separation of church and state” — which, by-the-way are how Russia and China operate, whereby the governments feel no compulsion to treat people according to the 10 Commandments. Come and see what early Americans understood, which has for nearly 70 years been suppressed in our educational systems, so Americans no longer know upon what freedom is founded. Come and see why Earl Wallace is on a mission to reverse that trend, and why he believes the future of our beloved USA depends upon it. To download the event flyer, complete the information below. The PDF file will be emailed to you.